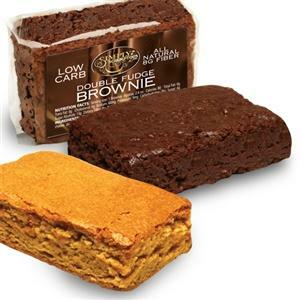 Put the decadent pleasure of brownies back on the menu with delicious low carb brownies from Linda's Diet Delites! If you love chocolate, then there are few desserts that come close to being as decadent and satisfying as a moist, chocolaty brownie. Now, even low carb dieters can enjoy a great brownie without destroying their diet with Linda's Diet Delites' low carb brownies! Here you'll find a great selection of low carb brownies that will make you feel as if you're not even on a low carb diet anymore! Take a look at what we have to offer.